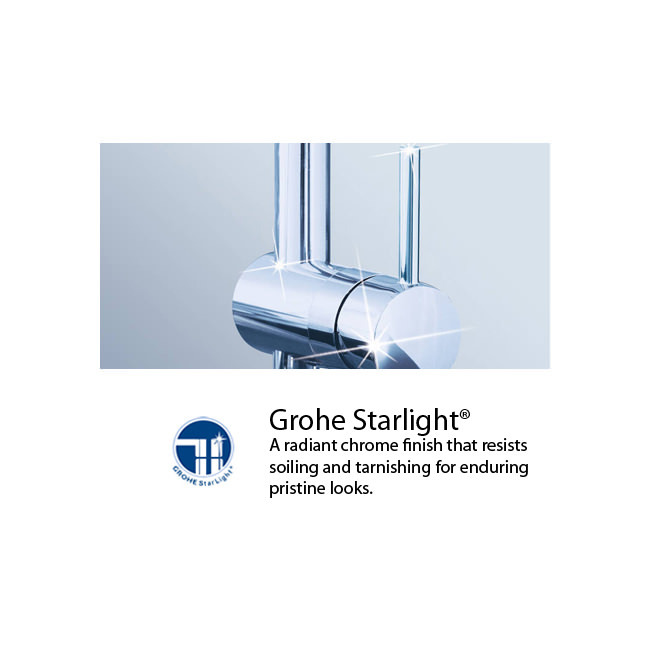 The Grohe Spa Grandera Thermostatic Shower Mixer with its planes, intriguing curves will add an elegant touch to your shower unit. 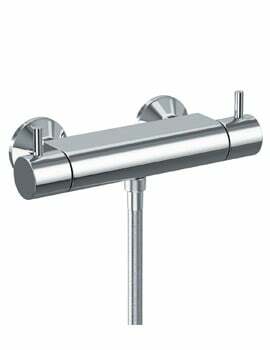 This mixer set also has covered fixings and metal handles that add to the overall sleek look. 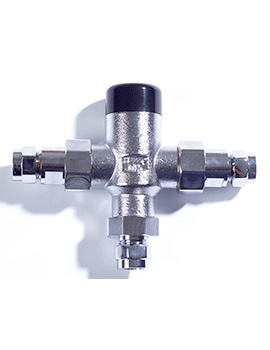 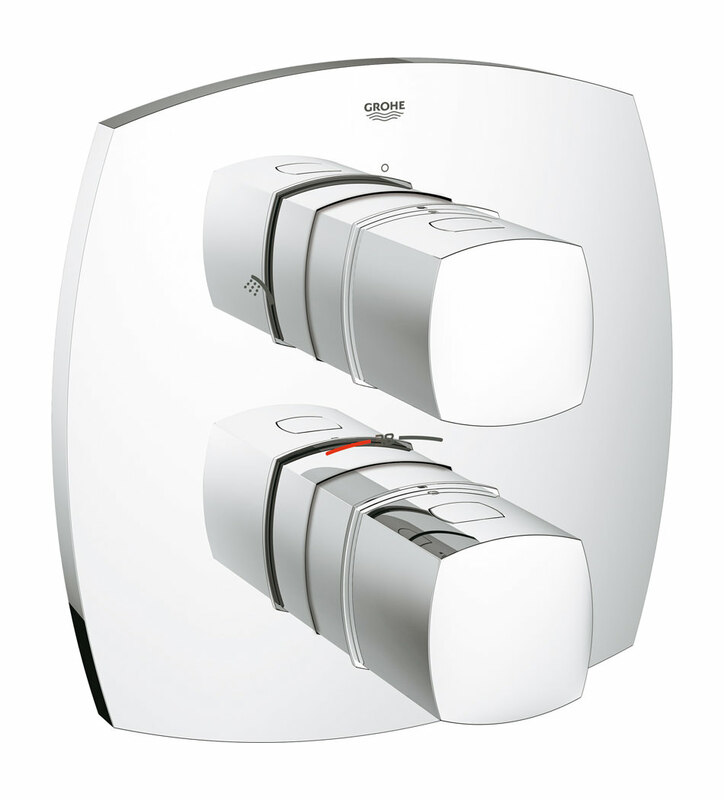 The set includes a temperature scale handle with Grohe SafeStop to keep the temperature to a maximum of 38 degrees safely. 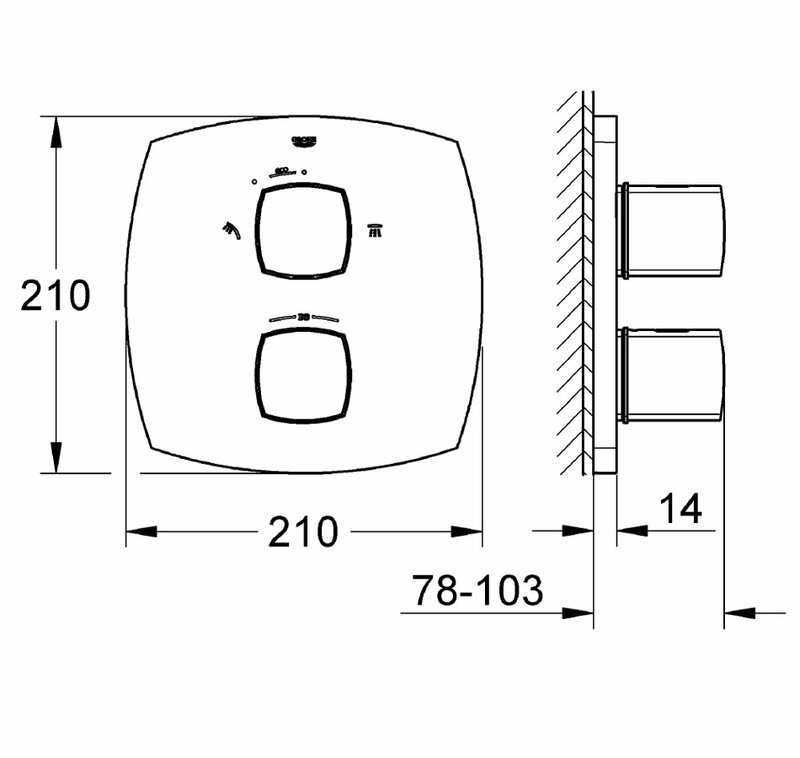 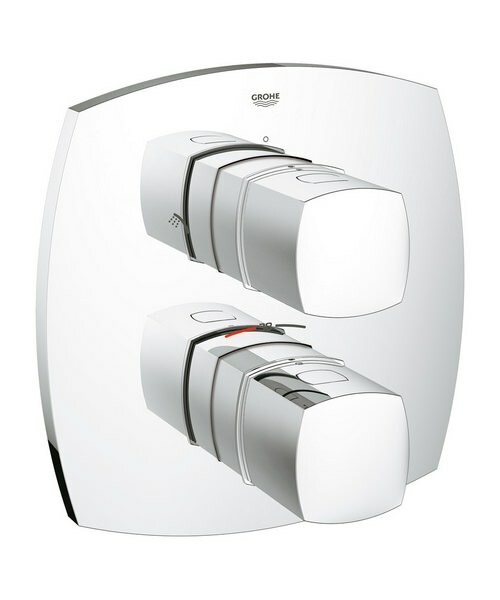 The volume handle has the Grohe EcoButton, to provide an economy stop function. 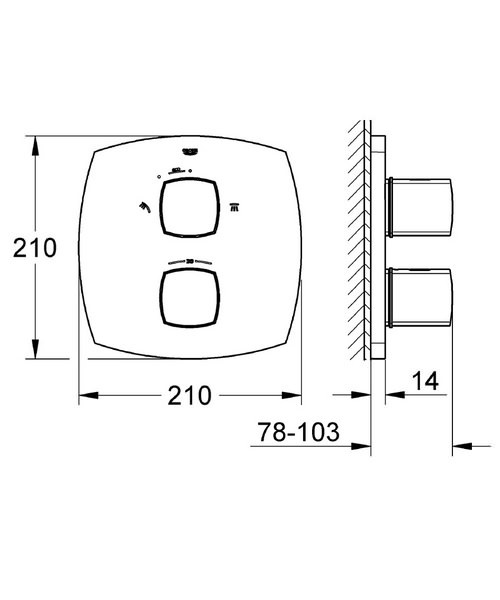 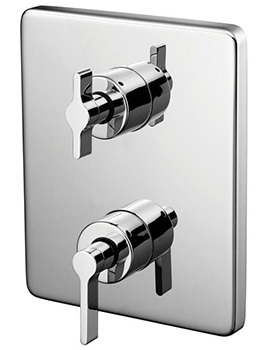 The integrated 2-way diverter supplies water to two separate outlets by allowing easy switching between shower head and hand shower; only one can be on at a time. 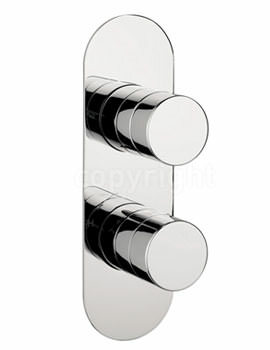 Finished in Chrome or Chrome with Gold, this piece will uplift the look of the shower space. 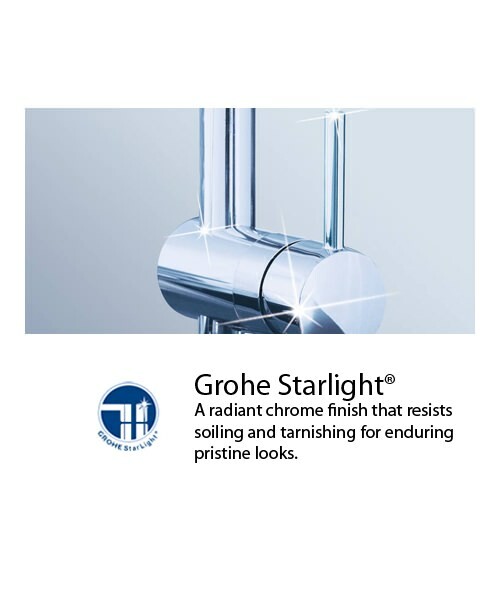 5 years warranty from Grohe Spa.